Flooding shower,dirty pool,practically begged to get housekeeping done,you would expect free Wi-Fi for the price I paid per night.People seem to be shuffled from room to room after complaining,generally bad or improper maintenance,bathroom in 'Deluxe Poolside 'room is pretty much falling apart.Will never stay at Hexagon or recommend to anyone. The front staff are great!! BUT my room was not cleaned on the Saturday until 5.15pm,my bathroom was never cleaned [especially the toilet]. My room had one light located near the door.in order to read I had to sit on the edge of the bed......the rooms really need an upgrade.The TV is the old tube type.The WiFi was 10$ Fiji /hr!!! The restaurant was very limited ,all in all not so good. It was close to a bus stop and a poor supermarket. 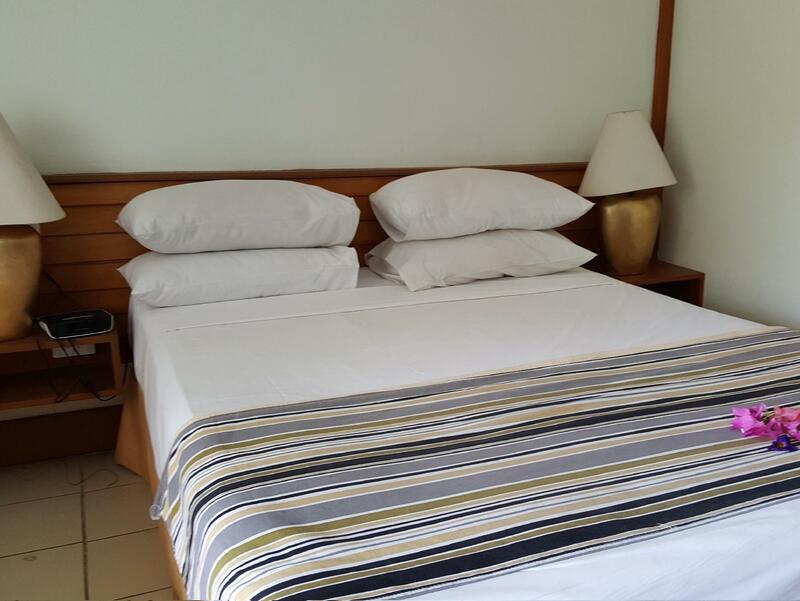 +Fast check in; a/c and hot water very good; airport transfers included; friendly staff - Room was supposed to be deluxe but appeared to be smaller; no bathtub, kitchen or balcony as listed; dirty fan blades; off coloured beddings; only one towel and a bathmat provided when requested for two people. I would probably try another of the many hotels nearby next time. 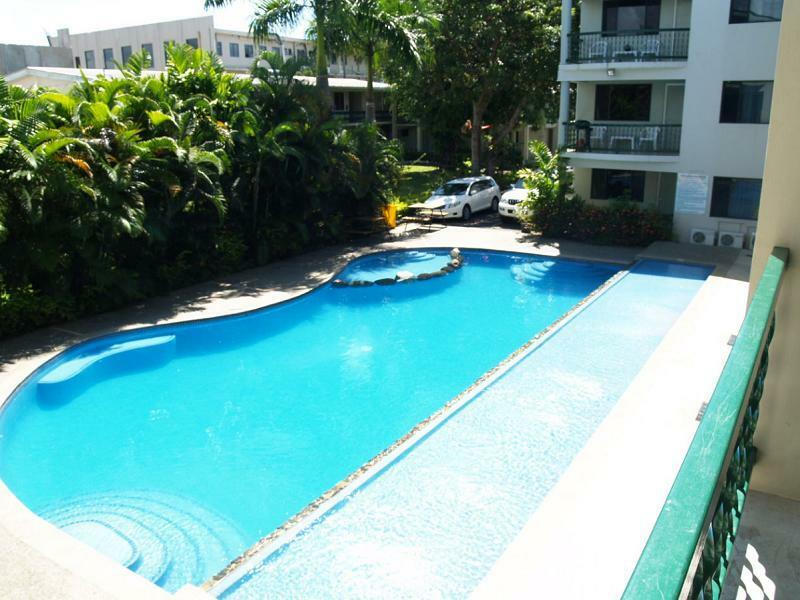 A hotel good for a night of stopover in Nadi. Nothing more. Airport transport is unreliable. Booked but not arrived. Also a taxi I had pre-booked for the following morning did not arrive either. Best book it on the spot. Stayed there before staff are friendly & very helpful especially Mereoni on reception. Room is clean albeit basic but loads of restaurants & a supermarket next door so thats enough. Children love the pool so they were happy . Great base for visiting Fiji as local buses to Nadi town & Lautoka run from just outside property but also tour desk for booking island trips. My flight arrived at 8:00 am, the shuttle missed me by about 15 minutes, I saw it going into the terminal after catching a cab going out. Arrived at hotel, was advised that check-in time was at 2:00 pm, which is standard, however the hotel didn't advise that there was an Early Check-In option at that time. Only after I had been sitting in a chair in front of the Reception for 3 hours, and complained about a walk-in customer who registered and was quickly escorted to her room did I ask about my room. The first response was did you have Early Check-In, that was beside the point because the walk-in customer didn't have Early Check-In either, truthfully I would have paid extra 4 hours prior had I known. After losing it at the reception they took me to my room less than five minutes later claiming it had just been made ready. Absolutely the worst first impression at any hotel. That being said, the rest of the 6 days there were great, located near some good restaurants, shopping center, movie theatre, nightclubs, taxi stand, bus stop, etc. The hotel did try to charge me for some chips (fries) that I absolutely didn't order upon check out, but that was dealt with easily. The rooms need some attention, but were comfortable and served their purpose. The famous Fijian hospitality was always on display, even when dealing with an irate customer having come off a 10 hour flight and 6 hour wait for a room. We stayed here for 2 nights. 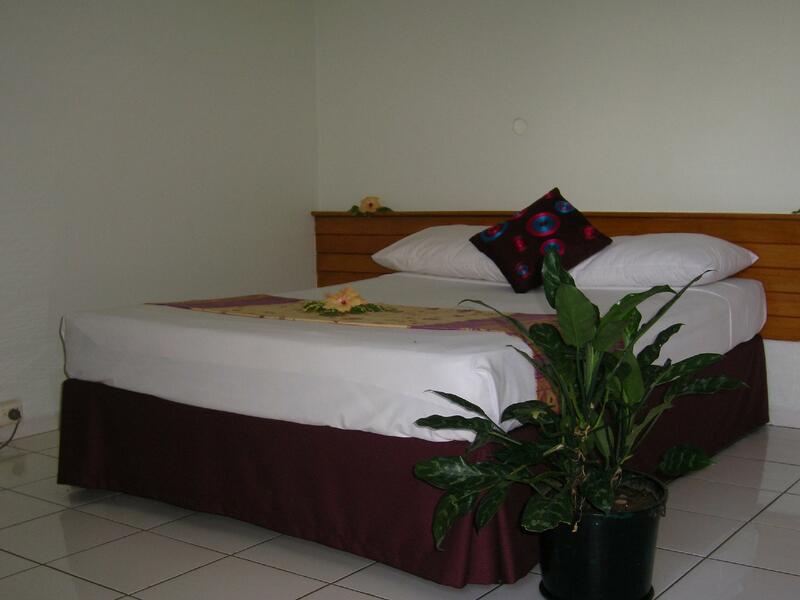 The hotel is clean, things work, its a no nonsense hotel for people arriving from the airport, as its close. You can even walk to Nadi, as we did, and Wailoa beach, if a boat is picking you up. Not a longstay resort. 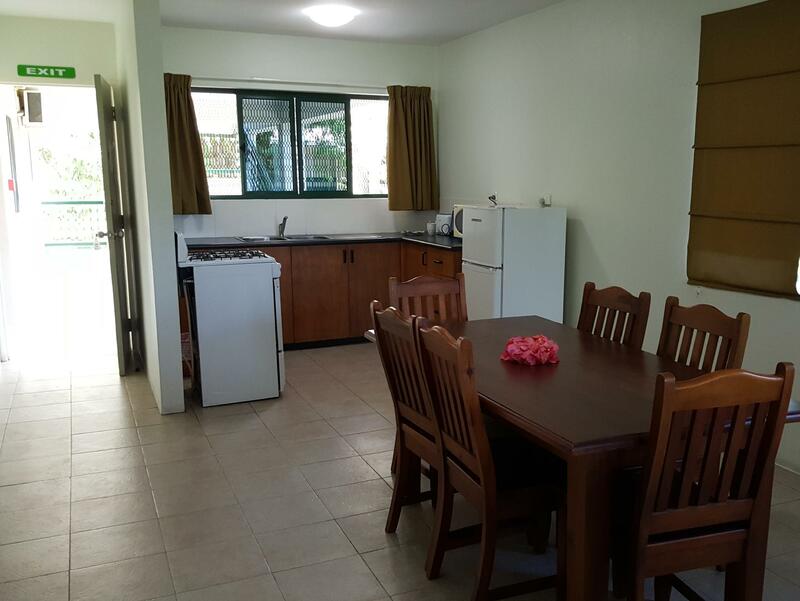 The location is quite good, not far away from the airport on the main road to Nandi. Just around the corner is a large supermarket and a lovely, modern Indian restaurant with great food. We expected more when we booked the hotel and had a look at the pictures. Our room was quite small and furniture old. The price for this hotel is much to high. I have been coming for short transit type stays for over 10 years many of the Hexagon staff have remained, and are fantastic, always courteous and happy to help. 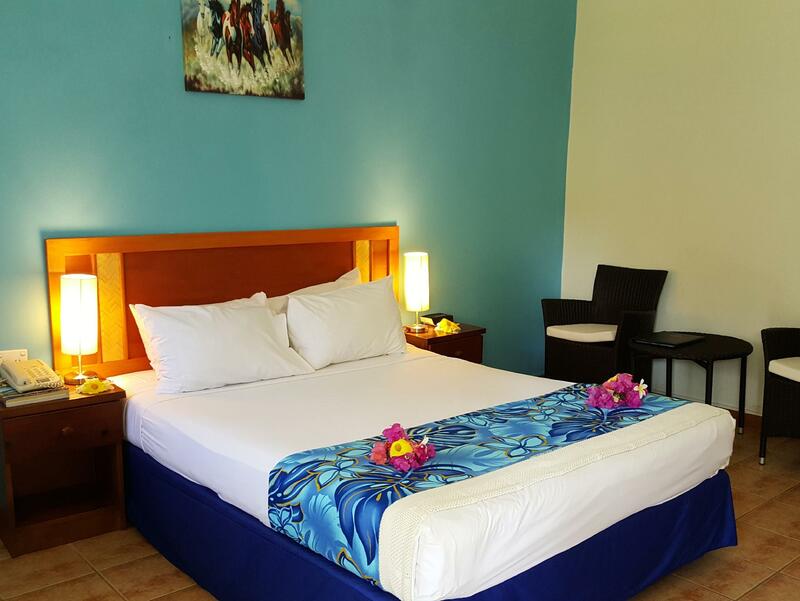 The hotel is a great location near the airport but also near to local retail amenities such as a large supermarket, chemist, fresh fruit stall, bars and restaurants. The hotel Kokoda (pronounced 'ko-kon-da') is a Fijian fish delicacies and I rate it as amongst the best I've had in Fiji. So in summary perfect value for money but then some! Bula! Really good . Totally recommend it over 5 star hotels . They are a waste of money . Enjoy 5 stars for the meals .. That's all . This place is close to a supermarket and cheap meals area . Travel a bit for some sumptuous meals .. And be back at the pools to relax for some cocktails by the pool side . This place is clean , value for money , and great staff . Bula Mr Ian, Our apologies for the unhappy experience you had with us. Thank you for bringing these issues to our attention. We will surely & seriously look into these issues. We appreciate your feedback. I booked this hotel as it seemed a good rate and near the facilities I needed for a short 2 night stay. I was horrified when airport rep told me it was awful, right next to 2 Night clubs and noisy. True facts are , yes it is. 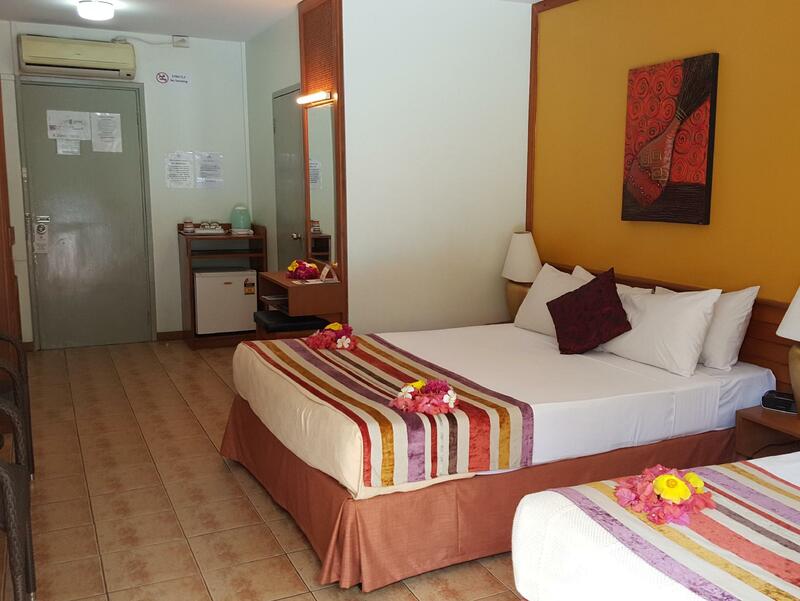 But staff were very accommodating and found me a quiet room at the back of the Resort. It is noisy from aircaraft there due to its location near the airport. There is a brief respite from that from 11pm-approx 6am depending on time of year. There is a Plaza right next to the hotel with some good restaurants, fast food. Bakery and supermarket and cinema. I didn’t order breakfast or eat there so can’t tell you what the restaurant food was like. WiFi is terrible and expensive. FJD 30 for 24 hours. It was so poor in the end I asked for a refund, which they gave me no problem. At the end of the day I got what I paid for enjoyed my budget stay here for 2 nights. Staff were very friendly and helpful especially in assigning me a quiet room. Nothing was provided with out asking. Tv channels stopped working. Staff provided no assistance. Water during shower splatters to the toilet area and no towel or anything provided to wipe. Had to live in amess. Never to book again in this hotel. Bula Mr Rajendra, Our apologies for the unhappy experience you had with us. Thank you for bringing these issues to our attention. We will surely & seriously look into these issues. We appreciate your feedback.